I wanted my first post for Loving That… Whats Next to be about my most worn piece of jewellery I own as I wear this even more than my engagement ring and wedding band. 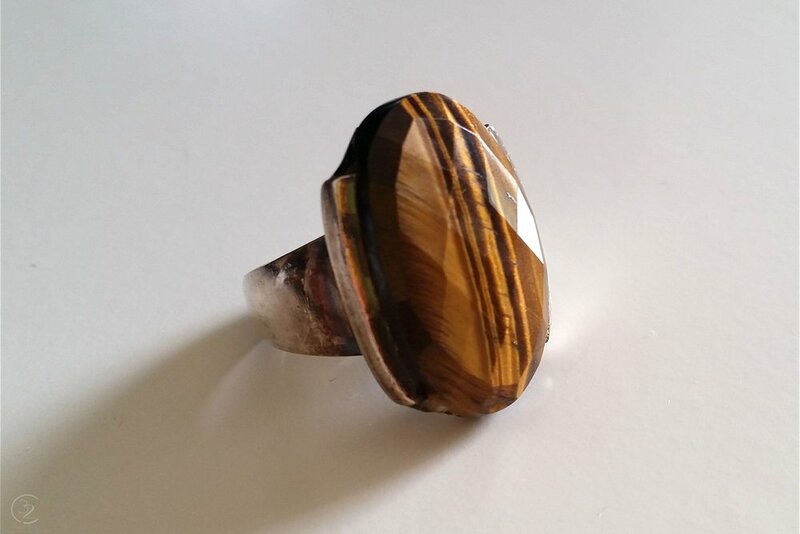 So here I’m introducing my tigers eye ring which I purchased back in April 2012. At the time we were house and dog sitting for friends at their Balgowlah Heights home, Sydney. Manly is a 45 minute walk from Balgowlah Heights which is where I stumbled across a ‘crystal hippie’ store. Normally It’s not the type of place I would shop but for some reason I was compelled to go in and take a look. And even though I wasn’t looking for this ring it somehow made me its owner. And from that day forward it became one of my most loved jewellery pieces I own, and it’s travelled all around the world with me. This ring isn’t going to be to everyone’s taste. It’s a one of a kind tigers eye ring set in sterling silver. It’s not a flashy or expensive ring it’s just a personal piece of jewellery I wear. In up and coming posts you will see this on me most of the time. Lately, I have been pairing it with my small dress diamond ring when going out in the evenings. I know not everyone believes in crystals which I totally respect as it’s a personal choice. For me there is just something about this ring which is why I like to wear it.